New library coming to Edgewater Reviewed by Edgeville Buzz on March 9, 2011 . 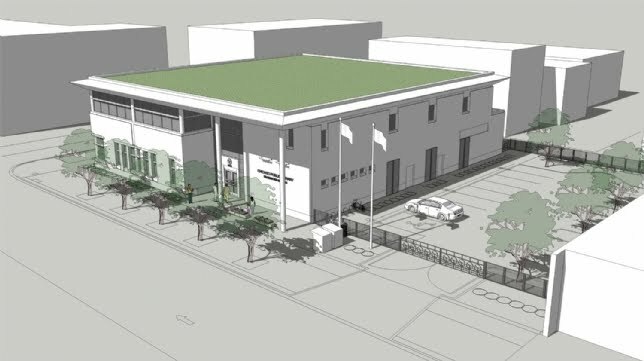 A new Edgewater Branch Library has been approved by the Public Buildings Commission and the firm of noted architect Dirk Lohan has been contracted . The current library will be demolished as well as the adjoining building. The new building will be in the same location but the address and entrance will be on Broadway. More parking will be available. The plot will be bounded by Elmdale on the South, Norwood on the North, Broadway on the East and the public alley on the West. The new building will be 18,665 square feet and two stories high. It will include a reading room on each floor with stacks, a meeting room and an elevator. Library staff offices and a dividable community room are included. About $900,000 has been authorized for design and planning. The site must be ready for construction by Nov. 16, 2011. A year is being allocated for construction with additional time periods for approvals and inspections. Improvements will be made to the public way. Our State Representative, Harry Osterman was approached by Library Commissioner Mary Dempsey and asked to obtain funds for a new Edgewater library. Now, as the incoming Alderman, he will have to negotiate a temporary site for our books and services.